Tamron 18-400mm f/3.5-6.3 Di II VC HLD Lens Price $649, Available for Pre-order ! Tamron has officially announced the new 18-400mm f/3.5-6.3 Di II VC HLD lens today. This lens is designed for Nikon DX-format DSLRs, this 27-600mm equivalent lens uses a three-step extension design to maintain a compact and lightweight form factor despite its expansive reach. In regard to the optics, a series of aspherical and low dispersion elements help to correct various aberrations and distortion for consistent sharpness and clarity throughout the zoom range. Author adminPosted on June 23, 2017 Categories Tamron LensesTags Tamron 18-400mm f/3.5-6.3 Di II VC HLD LensLeave a comment on Tamron 18-400mm f/3.5-6.3 Di II VC HLD Lens Price $649, Available for Pre-order ! 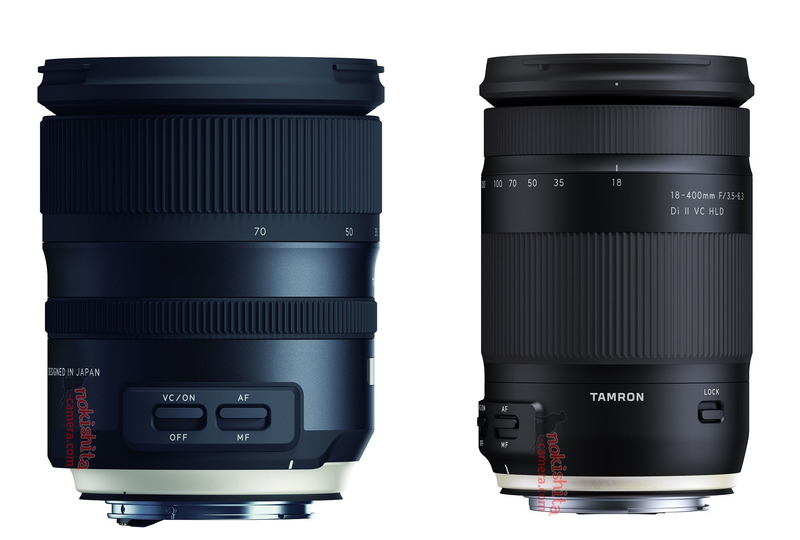 Tamron will soon announce two new lenses in next few days. 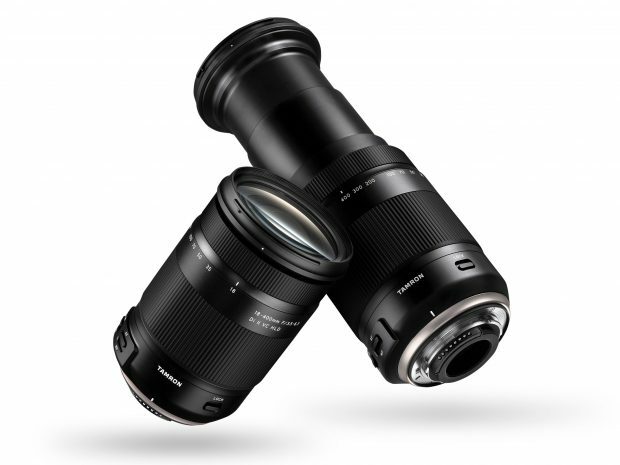 Currently, there are already detail info about these two lenses. 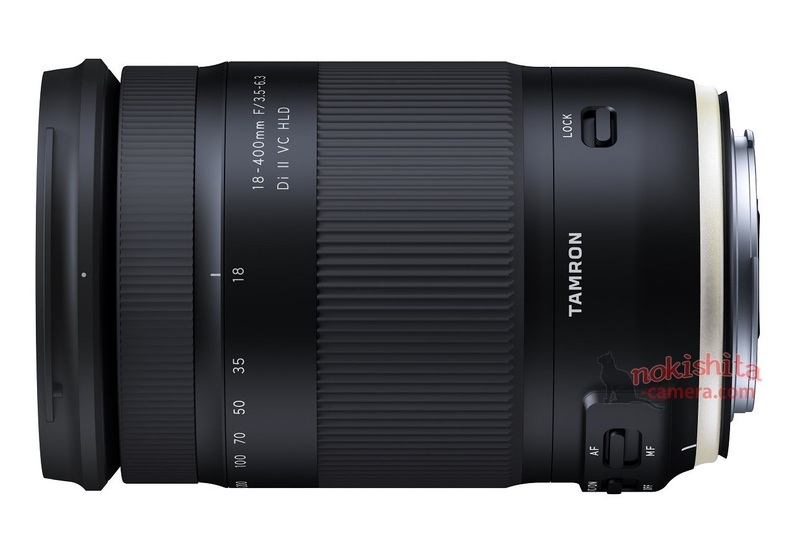 Tamron SP 24-70mm f/2.8 Di VC USD G2 lens will be priced $1,299 in US, Tamron 18-400mm f/3.5-6.3 Di II VC HLD lens will be priced $649 in US. Both lenses will be available for Canon EF mount and Nikon F mount. Next week, we will see two new Tamron lenses, one is previous rumored SP 24-70mm f/2.8 Di VC USD G2 lens, the other is a DX lens: Tamron 18-400mm f/3.5-6.3 Di II VC HLD lens. This is an all-in-one zoom lens, will replace current 16-300mm f/3.5-6.3 Di II VC PZD MACRO Lens.